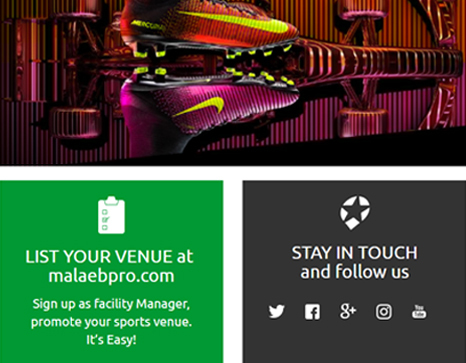 Mala3ebpro is stadium booking platform which allows its users to book their sports venue in their own area. They just need to register themselves on the website and can explore events as well as corresponding venues over there. 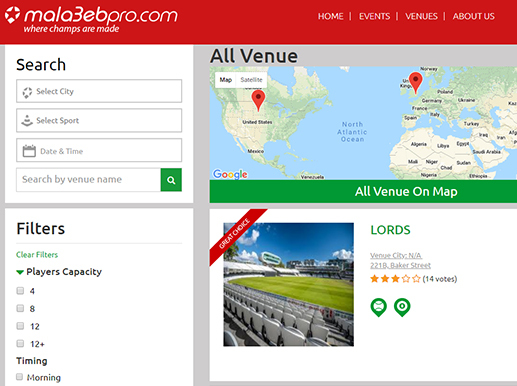 Mala3ebpro provides the best sports venue booking platform for its users. It gives the complete information about all upcoming events and featured venues. 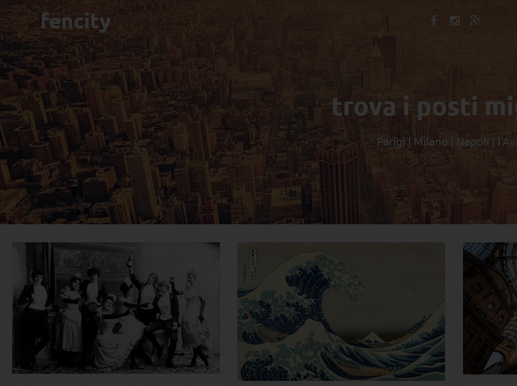 The first thing to do is to register yourself on this platform and then explore all venues in your own area. 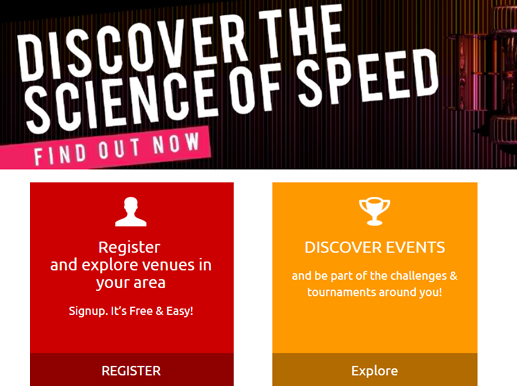 You can discover events and can become part of challenges & tournaments around you. As a facility manager, you can list your venue here in order to promote your sports venue. The main goal was to develop a web platform by using which users can easily book sports venue for their upcoming sports event. The biggest challenge was to handle the large database consisting of details of a large number of sports venues across the globe. Our team developed an innovative solution in order to help its users for booking stadium of their own choice and thus save their time as well as efforts. 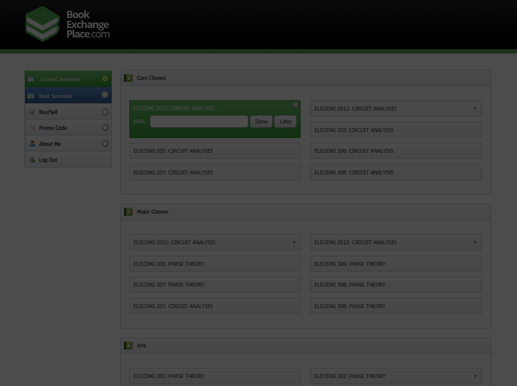 Users can select the sports venue as per their choice in their own area. You can filter your searches by using the given options for it. 01 Easy stadium booking of your own choice and you can filter your searches with various available options like city, sport and date & time. 02 Discover a number of sports events here. 03 This has made easy for its users to search for the best sports venue among the available options. 04 You don't need to visit individual venue for placing bookings. Hence, this will save both your time as well as money.